Mumbai: The Bombay High Court has come down heavily on six medical professionals associated with Armed Forces Medical College in Pune (AFMC) for challenging the Bond Service rule of imposing Rs 25 lakh if five-year compulsory service is not provided after completing their courses. TOI reports about the order that came in regard to the petition drafted by the doctors who were admitted to the institute for pursuing their post-graduate medical courses in the academic year 2014-15. At the time of admission, as per the brochure they were required to sign a bond calling 5 years of compulsory service with the armed forces after completion of their courses. As per the norms, the doctors have to pay a bond amount of Rs 25 lakh if they fail to serve in the Short Service Commission of Armed Forces Medical Services for five years after their post graduate course. Objecting to the policy, the doctors filed the petition in 2017. The doctors in the petition claimed that the information brochure had mentioned the bond to be of Rs 5 lakh but during the time of admissions the bond was indicated to be of Rs 25 lakh. Further, the petitioners asserted that in all state and centre run medical colleges; the bond is deferred if the students go for super-specialty courses or other higher degree, which was not the case here. The doctors averred that the institute does not encourage any such concession to civilian students who intend for higher education which they claimed to be discriminatory. However, the High Court refused to give any relief to the petitioners on this matter. In the recent hearing of the case, the court took a strong objections to the severe delay in filing the petition by the doctors. The court observed that they took admission in 2014-15 while they filed a petition in 2017. The judges went through the entire matter and stated, that they did not find any illegality in AFMC’s approach. It also took in the submission of the AFMC counsel that medical education of the students was subsidised by the state in lieu of which they were expected to render their services back to the defence forces. With these observations, the court imposed a fine of Rs 1 lakh on doctors. The bench asked the doctors to deposit the amount within 10 days with Pune-based Cipla Cancer & Aids Foundation or face contempt proceedings. This is heinous! Why the court punish by penalty? Are they dictators? Then, is only money spent only on doctors? Sticking a bond us one thing, it goes against the basic fundamental rights of any citizen to chose his or her job!! You cannot impose your demand on his personal choice! Does court think every citizen of this country already know the whole constitution? Where went the fundamental right of citizens? You are using ironhand to oppress!! Never forget you get experience of several years by serving bond period along with reasonable salary. When want join MBBS, you Sign indiscriminately and be willing to do anything asked for. But passed out, DO WANT TO GIVE or don’t want to do promised. SHAME ! There are hundreds of medical colleges with no bonds. Why didn’t you apply there? 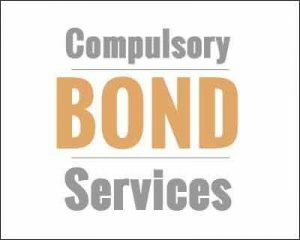 Why only doctors should sign the bond ? Govt pays for education of only doctors ? Why no bond for engineers, IIT, IIM grads ? They r allowed to leave the country immediately after studies. Why no bond for them ? Let them also serve the country for 5 yrs. During internship n 3 yr PG residency, doctors do serve the patients for peanut stipend. Thats more than sufficient.